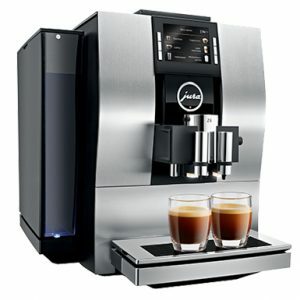 Wherever customers, staff and visitors can enjoy superlative coffee, the atmosphere is relaxed, communicative and productive. 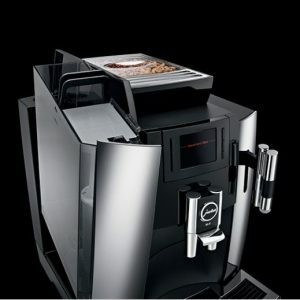 Anyone who appreciates the finer things in life, a wide choice of speciality coffees and aesthetics will love the WE8. 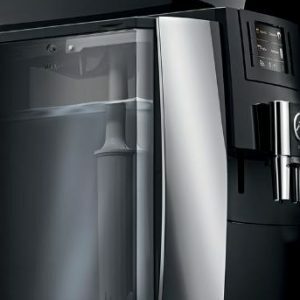 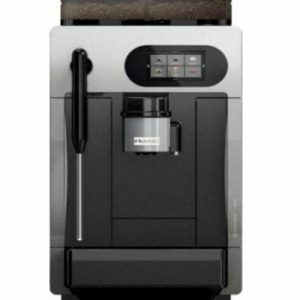 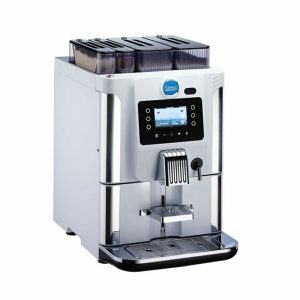 A water tank with a 3 l holding capacity, a bean container for 500 g of coffee beans and a coffee grounds container with a capacity of 25 portions make the elegant professional coffee machine the ideal solution for locations where around 30 speciality coffees are consumed per day. 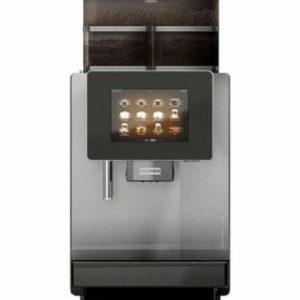 Innovative technologies revolutionise the enjoyment of coffee. 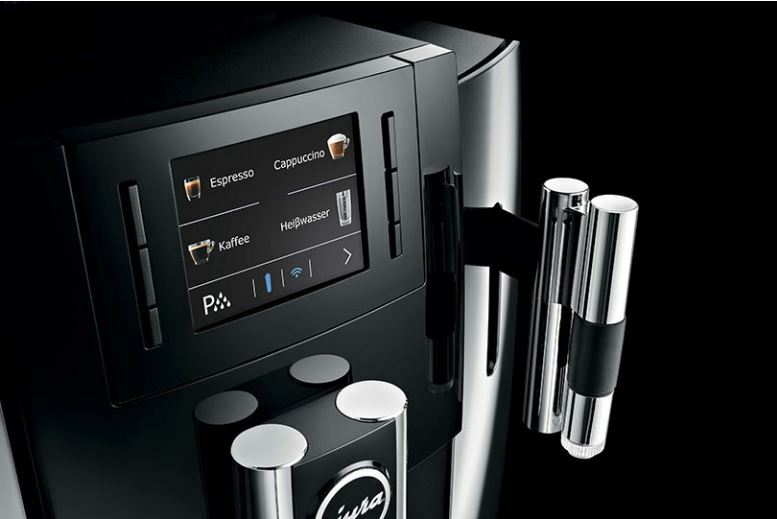 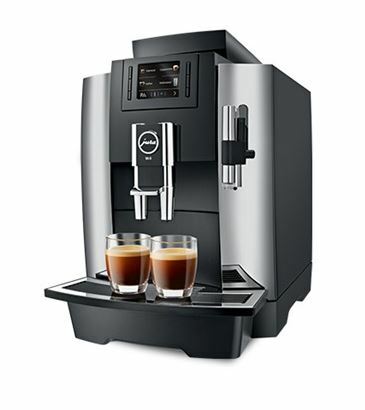 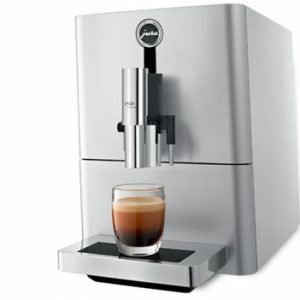 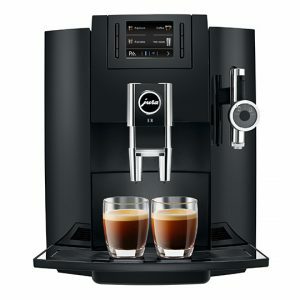 The One-Touch function creates trend specialities like latte macchiato, flat white or cappuccino very simply at the touch of a button. 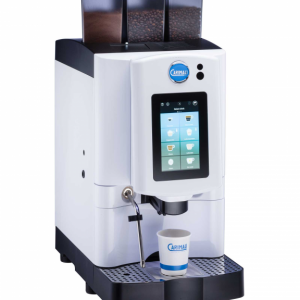 Buttons on the front of the machine and a modern TFT display make operation incredibly simple even for inexperienced users. The WE8 offers 12 different specialities. 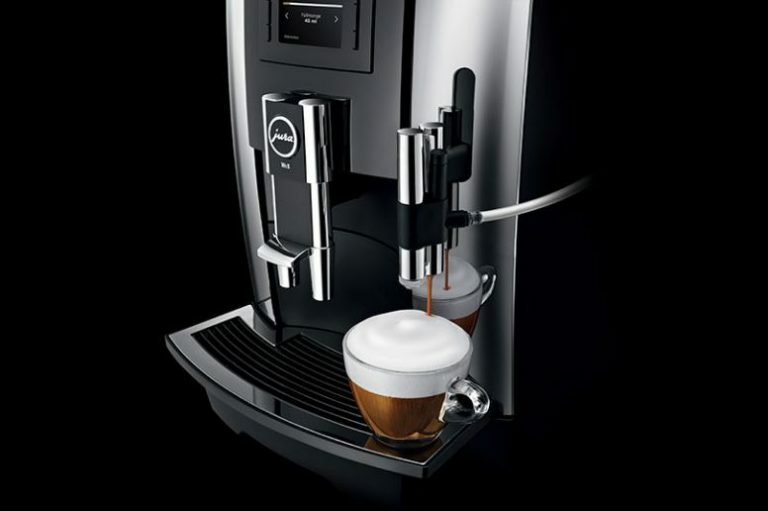 JURA has perfected the complete brewing process for short speciality coffees, allowing the WE line to make them to professional barista standard every time. 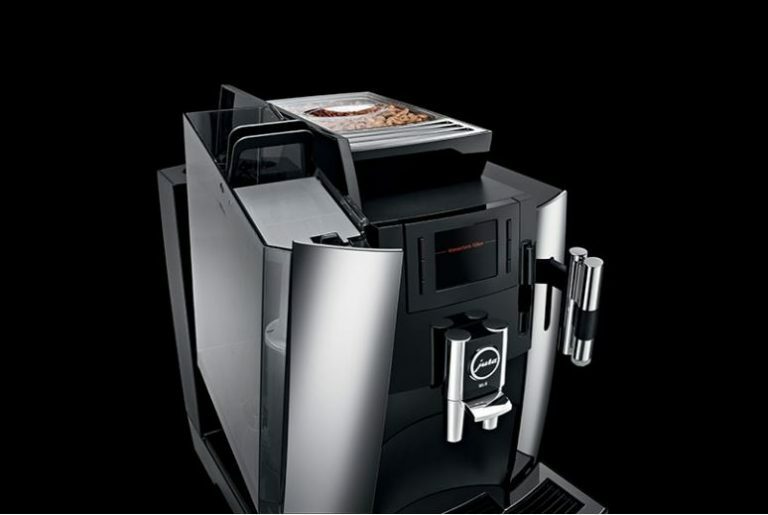 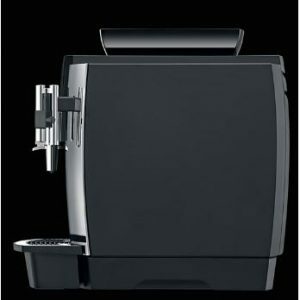 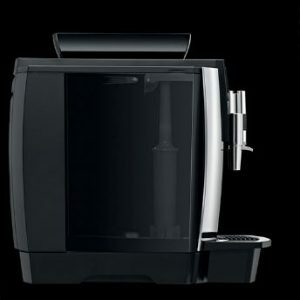 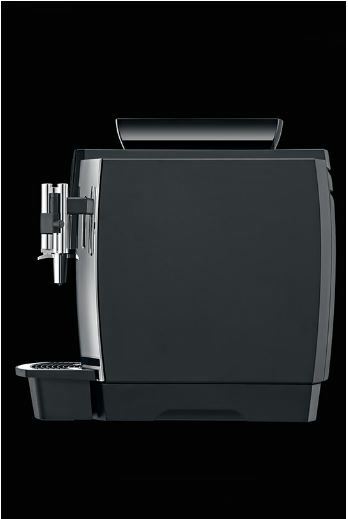 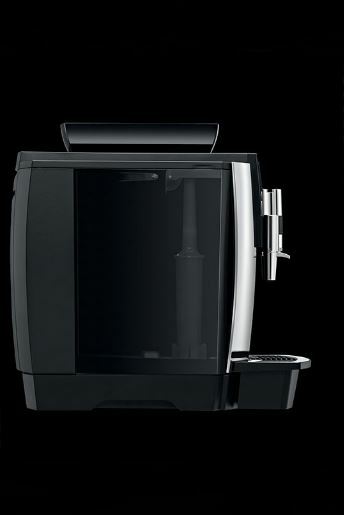 The six-level Aroma G3 grinder ensures that the coffee is optimally ground. 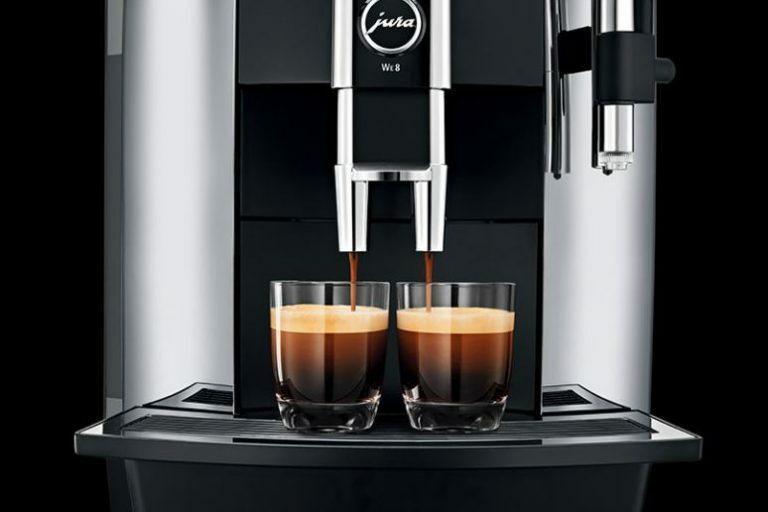 It always grinds the beans fresh, quickly yet gently to preserve the aroma. 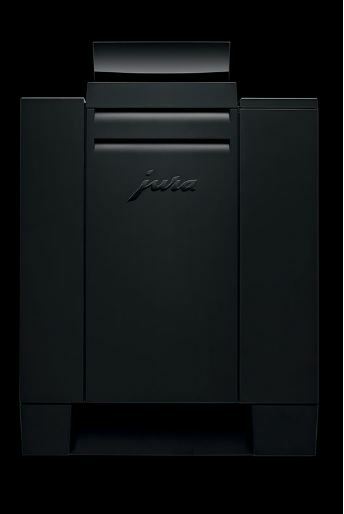 The Pulse Extraction Process (P.E.P.®) developed by JURA optimises the extraction time. 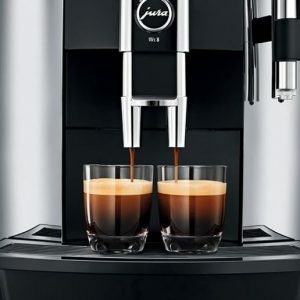 To make a ristretto or espresso, it forces the hot water through the ground coffee at short intervals. 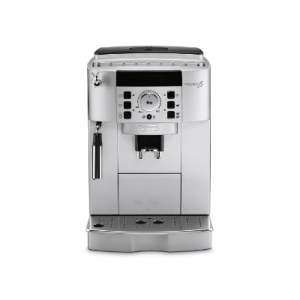 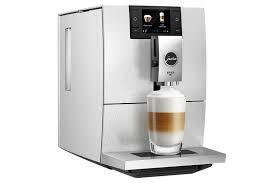 The One-Touch function on the WE8 allows you to make trend specialities finished with milk and milk foam at the touch of a button, without having to move the cup. 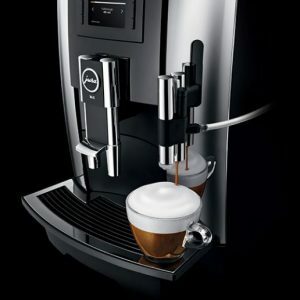 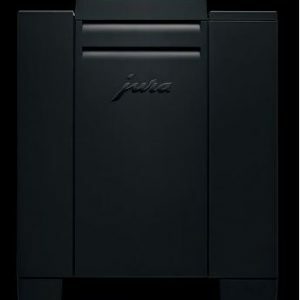 Cleanliness and hygiene are essential in the workplace, so integrated rinsing and cleaning programmes combined with specially developed cleaning products for JURA coffee machines ensure perfect hygiene at the touch of a button. 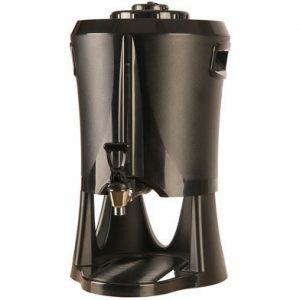 The milk system is also cleaned quickly and easily at the touch of a button. 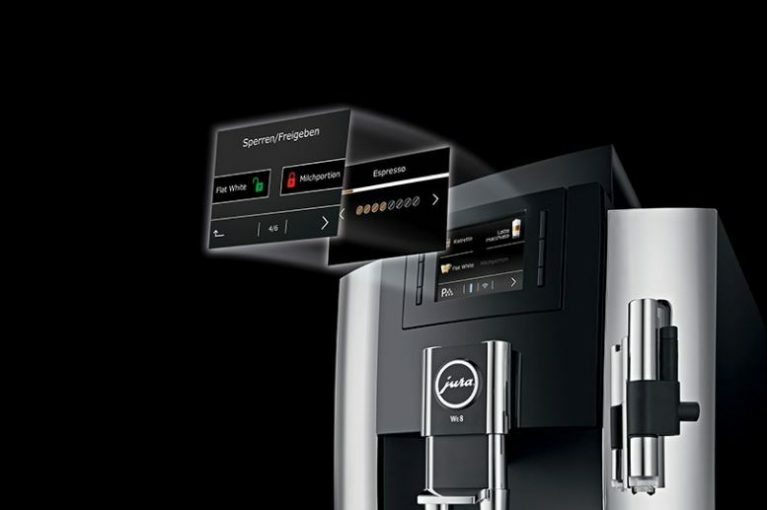 This complete hygiene system, which is certified by TÜV Rheinland, makes the WE line an excellent choice for premises which operate an HACCP* concept. Because requirements vary from one situation to another, the WE8 comes with many options for programming and customisation. 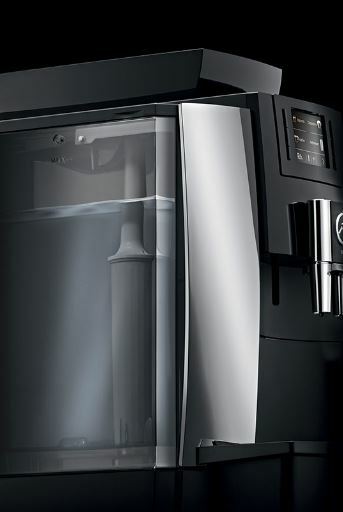 The amount of ground coffee and water can be adapted to suit personal preferences and the cups and glasses used. 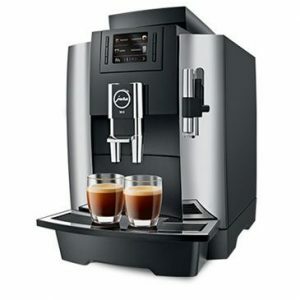 It is also possible to give preference to certain speciality coffees by disabling others. 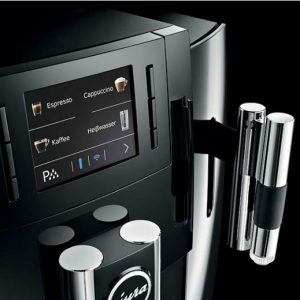 Various modes are available on request that only allow presettings and cup volumes to be changed after entering a certain key combination. 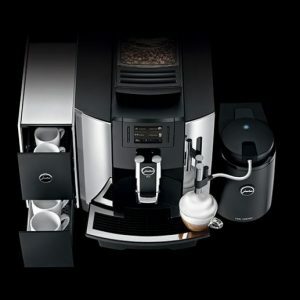 We won't be beaten on price!. 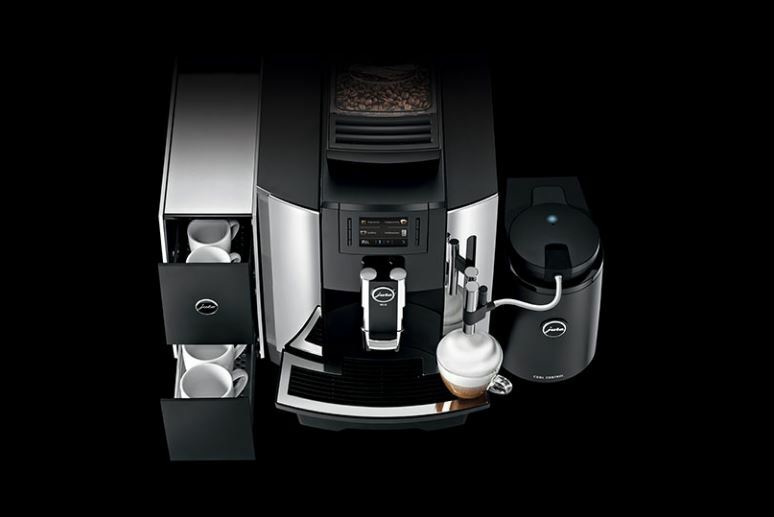 Don't miss out on our special offers for our subscribers.